Perfect family home in Oak Creek! 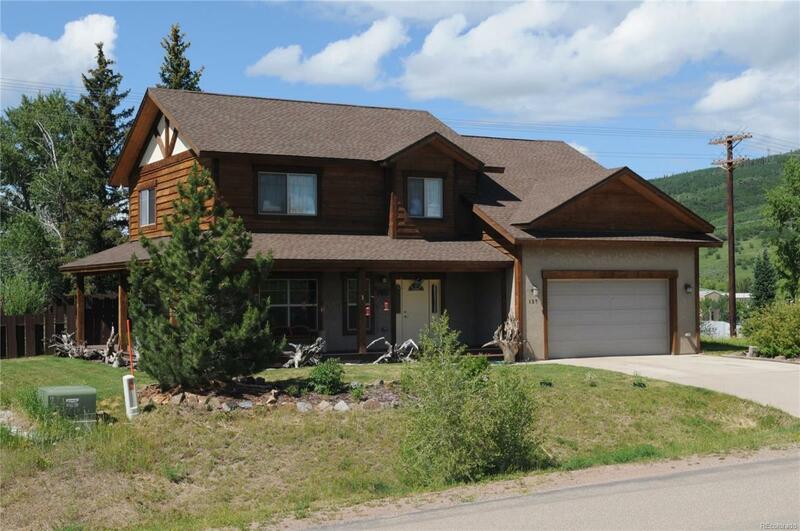 This wonderful 4 bedroom home in the Sierra View subdivision. Home has high quality finishes throughout this home with cherry flooring and cabinetry, beautiful crown moldings, and a well appointed powder room with wainscot and vessel sink on the main level. Stainless steel appliances with granite countertops throughout this home. In-floor radiant heating system! The main level also has a separate rec/bonus room with its own fireplace with stone surround. Heated two-car garage. The Master bedroom has two walk-in closets and its own en suite bathroom with double vanity and slab granite countertop. Vaulted tongue and groove ceiling. Full size washer and dryer.The exterior of the home is in excellent condition with wrap-around porch, fenced back yard, and sprinkler system.